Our tour starting point is outside St Michael Church Entrance Gate on Ship Street opposite Pret A Manger on Ship Street. Call us for booking or queries on 07412937003. Booking is not essential, we are well organised and already expecting you to join our tour. However, please fill our Booking Form immediately because we have limited places. Please fill our booking form for more information on where the tour starts from and booking is not essential.Tour Timings at 11 am, 2 pm & 3.45 pm Everyday. Our guide will come 10 minutes before the tour starts at the tour starting point. Please fill the booking form or contact us form for booking and also add date and time carefully. 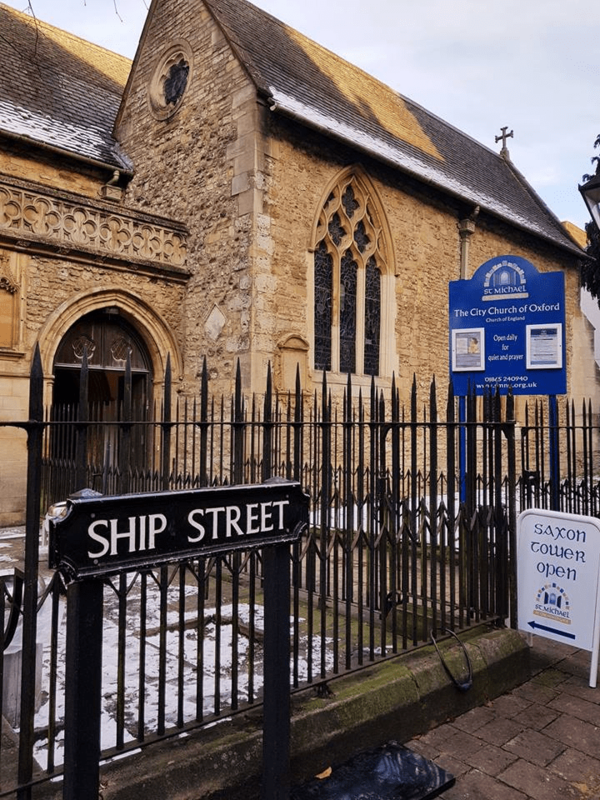 © 2019 Free Oxford Walking Tours. All Rights Reserved.